Powelltown is my favourite ground. It is wedged between the forest at one end and the timbermill at the other. The scoreboard itself is relatively new. It was built about seven years ago to replace a more modest board that stood further around the boundary. 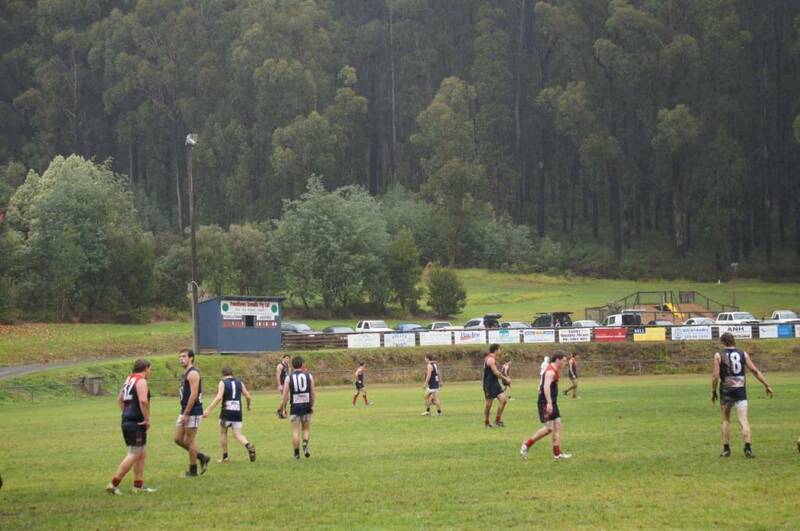 On this damp and foggy day, Powelltown 3rds were not making much progress in their match against Seville. 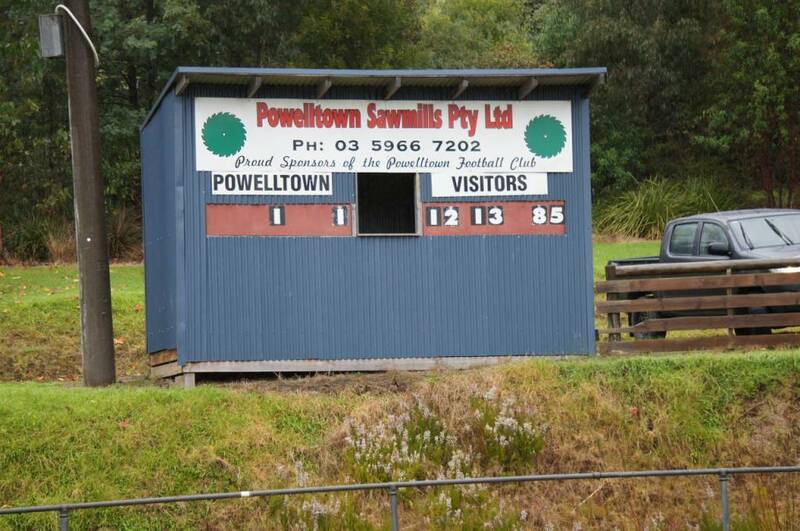 The Powelltown club went into recess in 2006 but re-emerged the following season and is now doing very well. 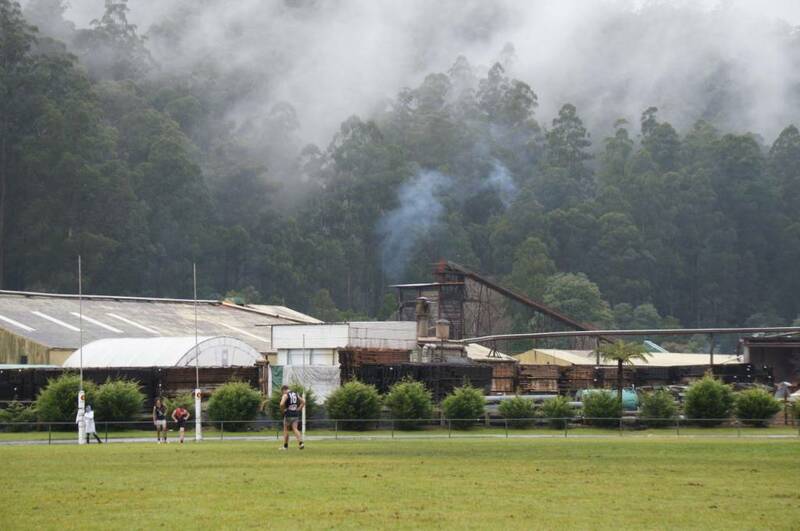 They play in the Yarra Valley Mountain District League.